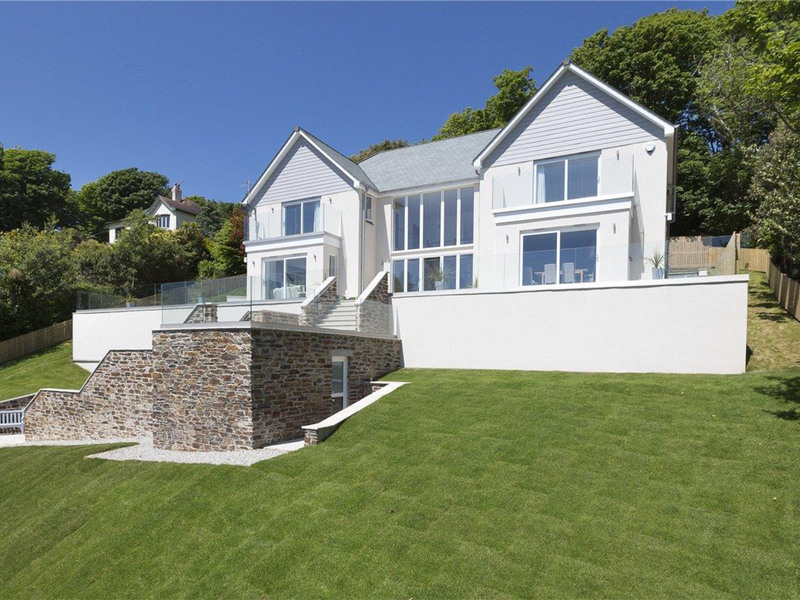 A modern spacious detached timber frame house located on an elevated position in Salcombe with fantastic sea views. Approximately 3500 sq W, this site required extensive excavations and three tiers of retaining walls to provide the platform for the dwelling. Five large bedrooms all with en-suites and each with wet room showers, underfloor heating throughout, modern kitchen and all fixings. Oak staircase, doors and woodwork.